The NFL is slowly coming around to the idea that football can cause significant cognitive damage to its participants. Previously, this view was held by only players, fans, neuroscientists and those members of Western civilization not on the NFL's payroll. This is the upshot of a recent study by the University of Michigan's Institute for Social Research that suggests, among other things, that former players between ages 30 and 49 are diagnosed with memory-related diseases at a rate of 19 times the normal rate. The findings aren't particularly surprising, but they do buttress a growing scientific literature about the risks of head injuries to NFL players. These doctors have long served as a sort of public-relations auxiliary. When research based on ex-player surveys linked multiple concussions with depression and dementia, Pellman went on TV and said, "When I look at that study, I don't believe it." When the same study found its way into the journal of the American College of Sports Medicine, Dr. Henry Feuer, medical consultant for the Indianapolis Colts, called the findings "virtually worthless." Dr. Ira Casson, co-chairman of the NFL's MTBI committee, dismissed survey studies out of hand, saying "they're subject to all kinds of error and misinterpretation and miscalculation." An N.F.L. spokesman, Greg Aiello, said in an e-mail message that the study did not formally diagnose dementia, that it was subject to shortcomings of telephone surveys and that "there are thousands of retired players who do not have memory problems." 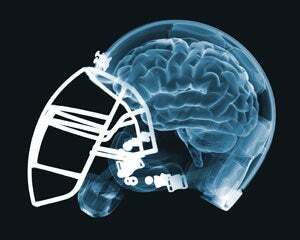 "Memory disorders affect many people who never played football or other sports," Mr. Aiello said. "We are trying to understand it as it relates to our retired players." Dr. Ira Casson, a co-chairman of the concussions committee who has been the league's primary voice denying any evidence connecting N.F.L. football and dementia, said: "What I take from this report is there's a need for further studies to see whether or not this finding is going to pan out, if it's really there or not. I can see that the respondents believe they have been diagnosed. But the next step is to determine whether that is so." This is the old gambit — crapping on the science and then demanding more science on which to crap — but it's certainly progress when the NFL's own hired help is telling the league things it doesn't want to hear. The NFL is staring at a cavalry of tort claims just on the horizon. No number of spinning quacks will change that now.